Are you looking to replace or supplement your income, now or in retirement? A passive income stream is an alternative way to earn money rather than a traditional wage, salary, pension or superannuation. The ability to generate passive income through regular rental payments is a major attraction to property investment. This extra cash flow can supplement retirement income, provide flexibility to a work schedule, or offset rental payments for those who choose to ‘rentvest’. There are two ways to create surplus income in property: either through seeking areas with high rents that exceed all expenses or by having a property with lower expenses. Obviously, the level of borrowings will also impact the interest repayments and therefore the cash flow of the property. Traditional positive cash flow refers to rental income that exceeds all expenses such as loan interest payments, management fees, council rates and insurances. These types of properties can produce a passive income stream from the surplus rental income. Positive cash flow properties with high rental incomes compared to expenses, are usually in regional areas that lack a diverse range of drivers, such as population growth, employment, infrastructure and economic vibrancy, and can, therefore, be more volatile and risky investments. 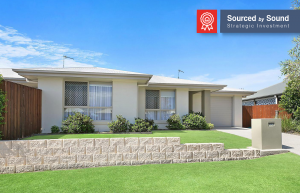 A recent annual report from RPData showed that the highest yielding property was in a small NSW coastal town that was achieving a 17% gross rental yield which would make the property positive cash flow (i.e., more income than expenses). However, the population of the town is only 500, and there is little infrastructure, employment or economic activity. During the recent mining boom in Australia, many investors were drawn towards the high rental returns in remote mining towns. An influx of workers and a shortage of accommodation was temporarily increasing the demand for dwellings, pushing prices and rents upwards. When the demand for resources slowed, employment dried up, rents plummeted, and prices were left at a fraction of what people paid. High rental yields cannot be looked at in isolation to provide passive income. An investor would also need to own quite a few properties to create any kind of substantial income stream once expenses were taken out. A sounder income stream from property can be obtained by assembling a well-balanced portfolio throughout a working career that is consolidated or sold off to pay debt down when entering retirement. During a working career or in the ‘acquisition phase’, an individual has access and a certain capacity to borrow funds from a bank to leverage into investment properties. Seeking investments with both growth and yield components identified by 15 Key Investment Drivers will assist the ability to grow a portfolio of property over this time. When an investor heads into retirement or the ‘consolidation phase’ of their lifecycle they may start to reduce their portfolio or sell off some property, and use the equity from the sale proceeds to pay down the mortgage on the other properties still held. With the reduced debt and interest payments, the residual portfolio can become cash flow positive and supplement the income of the retiree or part-time worker. The inherent quality of property in this type of portfolio reduces the risk of traditional positive cash flow properties. Avoiding potentially risky positive cash flow properties, and developing a balanced portfolio of capital growth and cash flow orientated properties will mean that an investor may have more options at retirement. This can provide the passive income needed in this stage of the lifecycle and beyond.